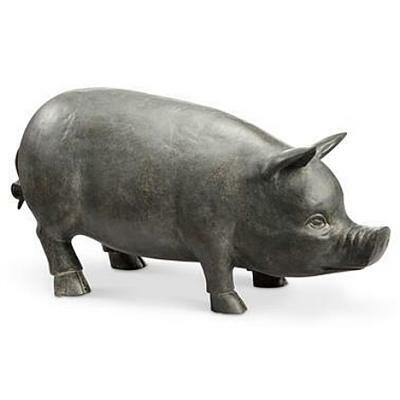 And here's a pig sculpture who will not only function as a standalone sculpture but he acts as a bluetooth speaker, a whimsical wireless speaker that will not only rouse some views but will surely fascinate in a party or as a garden ornament. Suitable for outoodr use. Aluminum.